Countless teams in countless sports, both locally and nationally, have struggled through an adjustment period in the season following unexpected success. The Gophers men’s basketball team was ranked No. 14 in the most recent Associated Press poll. That figures to go down a little after the loss earlier in the week at Nebraska, but the Gophers have been ranked all season. They have been branded as “good,” and for good reason after returning plenty of talented players (and adding some more) from last year’s NCAA tournament team. 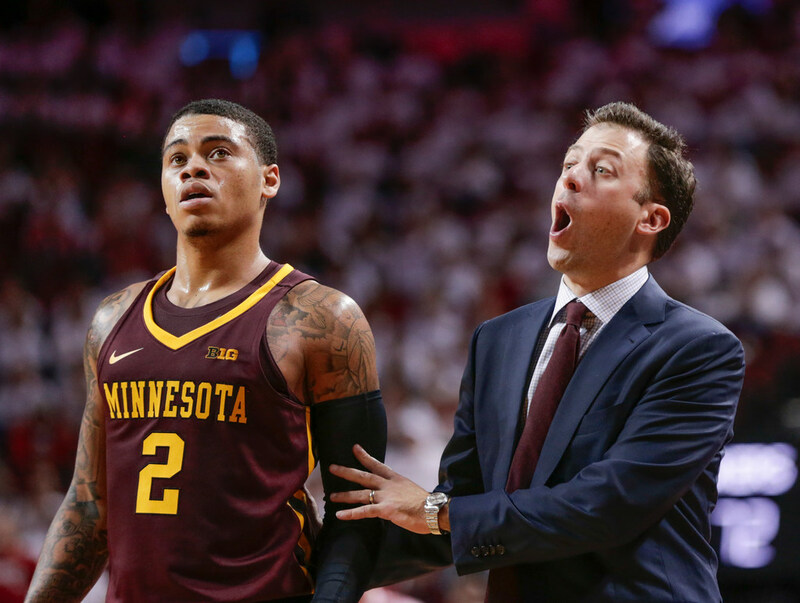 That said, because the Gophers have already been told they are good, this year also presents a different challenge for players and particularly head coach Richard Pitino. Countless teams in countless sports, both locally and nationally, have struggled through an adjustment period in the season following unexpected success. In advance of another key December game at Arkansas on Saturday, Pitino talked Friday about making sure his players know the difference between perception and reality. Pitino referenced last season, when the Gophers were barely ranked all year but wound up with the No. 5 seed in the NCAA tournament. Believing their own hype was far from the only reason the Gophers struggled in that loss at Nebraska. There were some questionable calls. It was a tough environment. As for the broader message of not believing their own hype? It sounds like the players are hearing that, too.